Train travel was once the fastest way to get from one place to another, bringing far-flung destinations within easy reach. 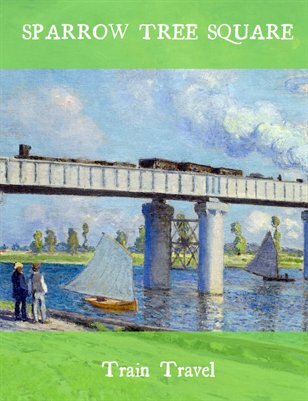 This mini-anthology's literary selections convey the excitement and marvel of rail travel at its peak in the nineteenth and early twentieth centuries. It also examines rail travel's place in history and culture, providing information about the United States' First Transcontinental Railroad and British railways.